Each week of this course will introduce and explore a variety of educational technologies. There will be a sampling of items with which to access, analyze, create, reflect and take action. Some will challenge your technical fluency. Others will become part of your digital teaching and learning toolkit. It's through these 'minds on', 'hands on', and reflect/connect learning opportunities that you will build your digital repertoire. These learning events will shape who you become as a digital teacher and digital learner. Don't be afraid to step into the digital spaces with eyes-wide-open. Keep asking yourself 'Why does this matter?' and 'How would it apply to my own or my student learning?'. 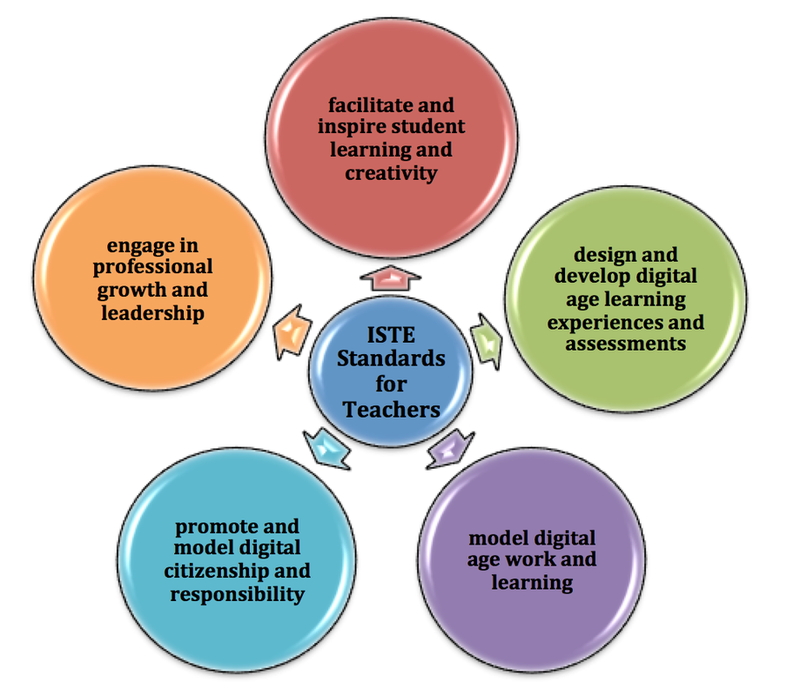 The ISTE standards for teachers will become immersed into your digital teaching practices. By embedding these standards throughout this course, you will become familiar with the essential ways effective teaching is designed, implemented and assessed. These standards should be evident in your final Digital Self Portrait blog site. 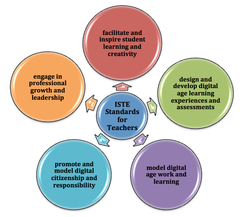 ​The ISTE standards for students will be explored when engaging in specific teaching and learning events within this course so you are aware of how to incorporate these into your Digital Self Portrait.